As the 2020 election pre-season begins, the Democrats have a new agenda of death. Pro-abortion Democratic zealots have gone from “safe, legal, and rare” to “keep the newborns comfortable while the doctor debates infanticide.” After the conversation turned to infanticide, “born alive” abortion survivors are speaking out and the Democrats are doing everything they can to dismiss them. Here’s what the pro-abortion leftist media and their Democratic cohorts don’t want you to see. These “born alive” abortion survivors are being mocked by the leftist media. Gianna Jessen had been in her mother’s womb for 7 months when her mother went to a Planned Parenthood, where she was told to have a late-term saline abortion. “The saline solution poisons the baby, burning him or her inside and out, and burning off the outer layer of his or her skin. The baby suffers in these conditions for over an hour until he or she dies, and the mother must deliver her dead child after about one day,” reports Live Action News. Gianna Jessen survived her mother’s late-term, saline abortion. She remained in the saline solution and was delivered alive in the abortion clinic. Thankfully, the abortionist at the clinic was not yet present, and Jessen was sent to the hospital. “This happened to me! I remained in the solution for approximately 18 hours and was delivered ALIVE… in a California abortion clinic,” Jessen writes. She was eventually adopted by wonderful parents. Jessen was diagnosed with cerebral palsy due to the lack of oxygen during the abortion procedure. But, by age four, Jessen was walking with the assistance of a walker, leg braces, and her foster mother. Today, Jessen walks with only a small limp. She acts as a voice for the voiceless and hope for the hopeless through her pro-life activism. “Death did not prevail over me… and I am so thankful!” Gianna Jessen declares. Melissa Ohden’s mother was a 19-year-old college student when she found out she was pregnant. Under the impression she was less than five months pregnant, Ohden’s biological mother had a saline abortion. Ohden survived the abortion and was found to be approximately seven months gestation. Ohden was adopted and grew up in a happy, loving family. At just 14 years of age, she would find out something that would forever change her: she survived an abortion procedure. This prompted Ohden to search for her biological parents, whom she has contacted and forgiven for attempting to abort her. Today, Ohden is a well-known pro-life activist and the founder of the Abortion Survivors Network. “Something’s wrong when women’s empowerment is based on ending another human being’s life,” Melissa Ohden proclaimed. At just two years old, Hoot was given his first pair of prosthetic legs. After just a couple of weeks, he was walking around on his own. He developed a love for sports and played football, baseball, basketball, and today, is a wrestling star. He persevered through his disability. Hoot ended his previous wrestling season with 24 wins – even without all of his limbs. Hoot serves as an inspiration to many of us—if he can accomplish so much, while missing limbs, there is no limit to what anyone can do, despite the obstacles they may face. “There are some things I can’t do, but I’ll still try, I’ll learn how to do it,” Nik Hoot says. 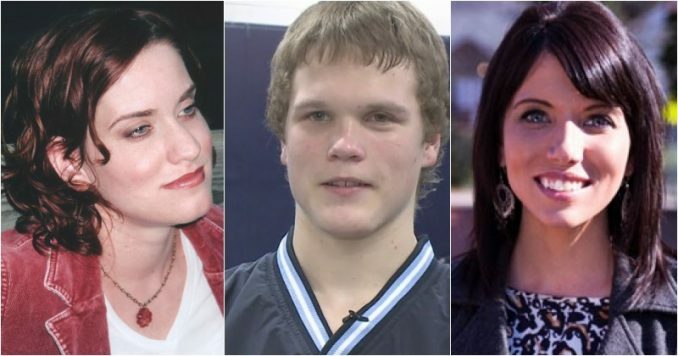 These abortion survivors should be sent to Congress and we should make sure all those Democrats who voted against the Born-Alive Abortion Survivors Protection Act are made to listen to their stories. It should be carried on live TV for the entire country to see. She also said, “Any country that accepts abortion is the poorest of the poor. Abortion leads to war.” America is being dragged into hell by the Democrats. For this reason alone, Americans must support President Donald Trump, who is pro-life. God will not be mocked, and He can’t bestow peace and posterity on a nation that is killing babies inside and now possibly outside the womb.